When it comes to skincare, I am not a loyal customer. I am always on a look-out for the next best thing that will give the perfect skin. One of the products that I recently discovered and now I can live without is the Neal's Yard Beauty Sleep Concentrate. It has a very relaxing and sleep inducing scent with a blend of ylang ylang, orange, patchouli, clary sage and cypress. It's like a sleep miracle, I could fall asleep the minute I apply it, and I sleep very deep after and it makes my skin look like as it had eight hours sleep next morning. Also from the very first application I could tell the difference in the softness and smoothness of my skin. The texture is so light and absorbs into my skin very quickly. The glass bottle has a pump applicator and therefore really hygienic to use. A little goes a long way, so only three pumps cover my whole face. Gently massage onto skin with a light, upwards, circular motion. Neal's Yard Beauty Sleep Concentrate is suitable for all skin types and is 90% organic and it doesn't contains any parabens, silicones, mineral oils, and artificial fragrances. Neal's Yard have conducted clinical trials on this product and have found that it increased the skin's moisture by up to 98% over 12 hours. I thoroughly recommend this to everyone. I also love theirs rose hip oil which I use for my daily face massage... watch the video below! 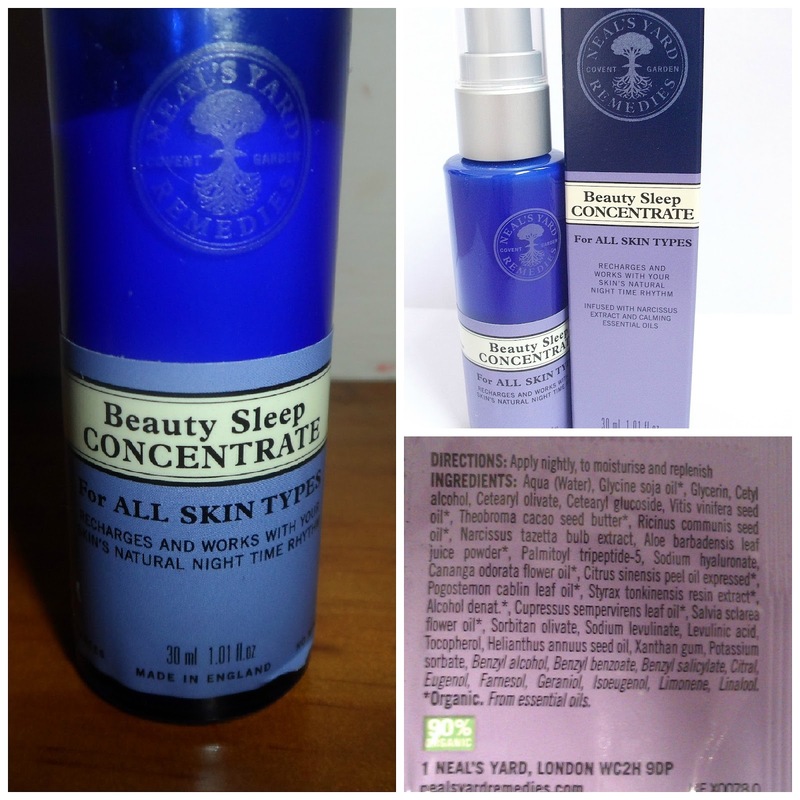 Have you ever tried Neal's Yard Beauty Sleep Concentrate?